On fashion and common sense. 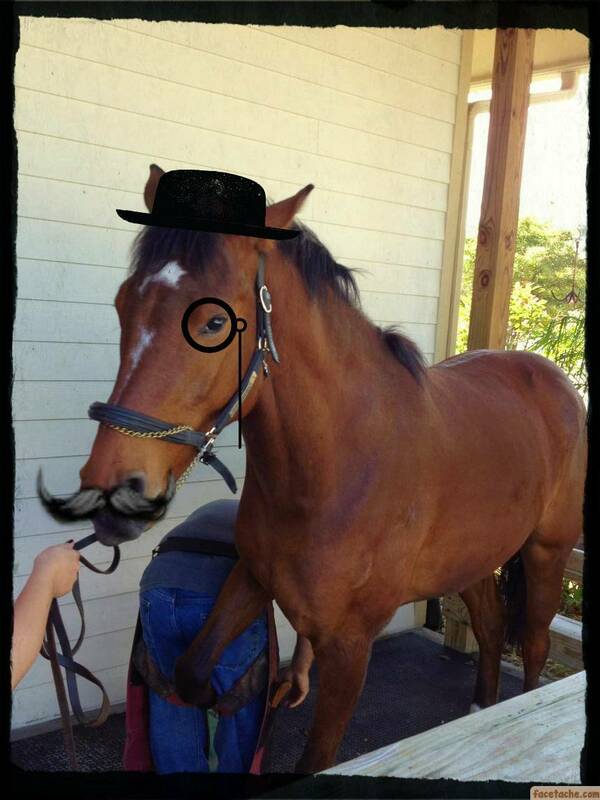 Le Doux stays fashionable while getting his monthly pedicure. Fashion, and whether others notice our sartorial choices, has been a recent point of conversation among my friends and I. I’ve noticed that some people are particularly self-conscious — to the point of anxiety — about their dress, hair, and accessories. They feel they’re being judged on looks at the exclusion of everything else. This doesn’t make a whole lot of sense. In fact, my mother once gave me a great piece of advice; she said that people are too worried about their own issues to concern themselves with anyone else. Although there are always snarksters out there, I believe this is largely true. For example, I spent Saturday at the Nations Cup in Wellington, and although I can tell you about the conversations I had, and how people (and their horses) behaved, I cannot recall what anyone wore. I know it may seem hypocritical for me — as the writer for a dressage fashion blog — to say fashion doesn’t matter much. But that’s not really what I’m arguing. My point has always been that form follows function. In this case, it’s how you act that’s of primary importance; how you look is secondary. Ultimately, fashion is the olive in the martini . . . the slice of lime on the gin & tonic . . . the toupee on Donald Trump’s head. It caps things off. It cannot make you what you’re not.